I love a good birth story, but what I love even more is a mothermoon story. The next in my series of mothermoon stories is Julia and Orlando's. Julia shares how hypnobirthing and planning a mothermoon made a difference to her expererience of becoming a mum the second time around. Thanks for sharing your story Julia! When our daughter Isla was born, we were relatively new to the area. I didn’t have a network of friends yet and didn’t know anyone living near us who had a baby or toddler. I remember the day my husband went back to work after a week at home with us I cried when he walked out of the door, feeling intensely overwhelmed by the thought of being all alone with a newborn for the day. Looking back, I realise there were moments when I just didn’t want any visitors or when I cried being out with Isla, feeling stressed about her not settling in the pram or worrying where I would feed her and whether or not I would feel relaxed enough doing so in public. On reflection, I could have definitely taken it a lot easier and slower, allowing my body to recover and heal before going out for hour long walks & local coffee shops. When I was pregnant with our second baby, I knew quite early on that I would like to give hypnobirthing a go. We did the course when I was about 20 weeks so I had lots of time to listen to the relaxation tracks, conditioning myself to switch off and rest. I had also discovered Osteopathy and had regular treatment not because I necessarily had aches and pains but to make sure my body was as well aligned for giving birth as possible. Overall I made looking after myself a real priority, trying out reflexology (amazing!!) and chiropractic. I read a book called ‘The first fourty days’ which Sarah had told me about and kindly lent to me. Apart from the great recipes, it was full of helpful advise and tips on how to nourish yourself (mentally and physically) after the birth of your baby and a real reminder to take it slow! While my husband was on paternity leave, he looked after Isla and made me all of my food. We had absolutely no visitors for at least 10 days if not two weeks. My wonderful midwives came to our house for all of my postnatal appointments which was lovely and again meant I didn’t have to leave the bed / sofa or get dressed to go to the hospital or GP. I absolutely loved the first few weeks with Orlando. 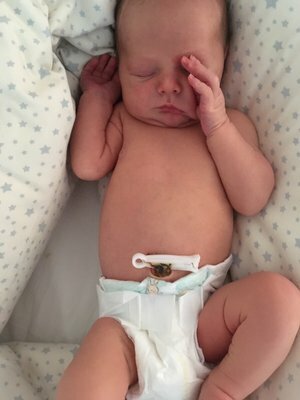 I just went with the flow, no stupid breastfeeding apps or worrying how often he would wake or feed just going with whatever he needed without analysing it. Whilst I wish I had known all of this the first time around, I also think that my plan for taking a mothermoon came from having had time to reflect on my first postnatal experience, the people I had met along the way and the wonderful local friends I had made since having Isla. 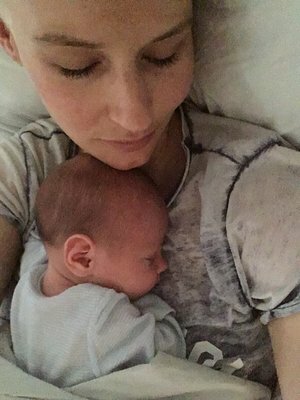 Hopefully the stories Sarah is sharing on her blog will inspire many more women to plan for their mothermoon and to be content with not doing very much after the birth apart from getting to know and cuddle their baby!